“Bipolar family”? What does that even mean?Some folks will immediately take offense at this phrase. Here, “bipolar family”, is where at least one of the parents is bipolar. Assortative mating is the mutual selection of individuals with similar characteristics. 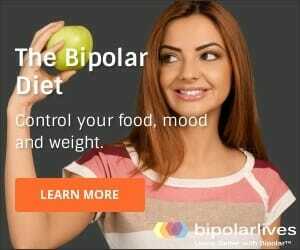 Research has shown that individuals with bipolar disorder marry in a non-random fashion – they are more likely to marry someone who also has a mood disorder. This is not necessarily a problem. Indeed, it may strengthen the marriage, and the family unit, if both of the couple share an understanding of the challenges involved in living with episodes of depression and mania. However, it does seem inevitable that such pairings will also contribute to periods of household conflict, stress, and overall instability. One interesting finding from the studies done to date is that the marriage of a bipolar man to a woman with depression is more likely to survive than the marriage of a bipolar woman to a man with depression. It is easy to understand why someone would select a bipolar mate. It is surprisingly common to find couples where both spouses have bipolar disorder. so forth that forms the more positive aspects of mania. What is it like to have bipolar parents? 1. The heightened risk of developing bipolar disorder due to genetic factors. 2. Exposure to parents who are, at least part of the time, moody, dysfunctional, and unpredictable. Both of these factors can contribute to mood disorders developing in the children, thus we arrive at the complex dynamics not just of one bipolar parent, but a whole bipolar family unit. When looking at the bipolar family, and in particular a bipolar parent, it is important to understand that there is NO relationship between clinical status and social functioning. This means that a parent with a “softer” manifestation of the disorder, for example mild Bipolar II, will NOT necessarily function as a better parent than an individual with acute Bipolar I. So far there is research indicating that the worst clinical outcomes are associated with families where there is lots of tension and conflict, and more negative attitudes towards the family member with bipolar disorder. Obviously this has implications in creating an optimal environment for both a bipolar parent and a bipolar child. The good news is that there is evidence that a parent with bipolar disorder who is in treatment with stable moods is no more erratic or dysfunctional in their parenting than is typical for the population at large. Maternal depression seems to be the biggest predictor of family problems, but this could be misleading as this is overwhelming the largest focus of the studies to date. We know that children of bipolar parents face an elevated risk of developing the disorder themselves. Some studies have found children are more likely to “inherit bipolar” from their mothers, but other research has shown the rate of bipolar is higher when the father is the parent with bipolar disorder. And although the children of parents with bipolar disorder are more likely to develop the disorder themselves (there is a 2% chance that an individual may have bipolar disorder – this rises to 10% with one bipolar parent, and 40% with two bipolar parents), twin studies show that in only 57% of cases of identical twins was the disorder “passed down” through their bipolar family members. This means there is more at work here than genetics alone. There are also studies that attempt to identify factors in the home environment that influence things like the age of onset of bipolar disorder and the course of the disease, depending on the family dynamics. Looking at these studies helps us piece together the puzzle. However, there is so little research and so many methodological issues in the research that the results should be treated with caution. – Where mothers are particularly angry and irritable during a child’s early years increase that child’s likelihood of developing mania. – Low maternal warmth is a predictor of faster relapse after recovery from mania. – In marriages where either the father or mother are particularly dissatisfied, this marital dissatisfaction is a strong predictor of children developing bipolar disorder themselves. – Higher levels of conflict and verbal or physical abuse in the bipolar family seem to lead to more severe symptoms and worse outcomes for the children. – Children who have at least one bipolar parent have a decreased risk if they nevertheless report a positive relationship with the parent(s). AND MOST IMPORTANTLY: – most children with a family history of bipolar disorder will not develop the illness!